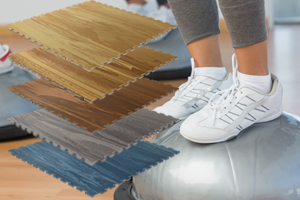 As the leader in athletic flooring contracting, Kiefer USA offers a variety of flooring solutions for aerobics, weight training, fitness classes, locker rooms, wet areas, and other specialty flooring needs. Our FitZone Performance Flooring line has aerobic, fitness, and free weight flooring products that offer the best combination of versatility, comfort, and performance. Pro-Dek™ wet area flooring is the perfect answer for pools, saunas, and locker rooms. Kiefer’s line of rubber, modular, outdoor, and dance flooring round out a complete product offering that is sure to accommodate your needs. Kiefer’s FitZone exercise mats are are the most resistant mat on the market and come with an industry best 3-year warranty. With a host of other exercise mats, entrance mats, carpet tiles, playground, and children’s products you’re sure to find the right solution for your facility. Protect your flooring investment with CourtGuard protective floor tiles. These easy to install carpet tiles form a perfect seam over any surface. Kiefer also offers a full line of surface protection and surface cleaning and maintenance products to keep your floor looking new for years. 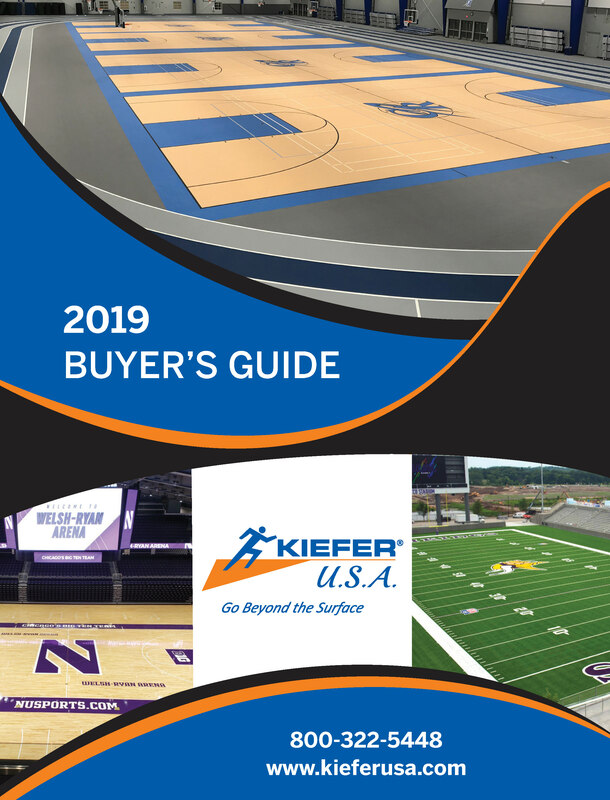 Download the Latest Kiefer USA Buyer’s Guide! 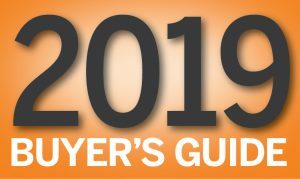 Inside you’ll find the latest and greatest flooring products, aquatics products, strength training products, exercise mats, turf products, and much more from Kiefer USA. Check out our latest Facility Specific Mini Catalogs! These mini catalogs have been created for specific facility types and are informational pieces, no pricing included.